This could be the best time to consider Las Vegas hottest properties! Mateo Juric & "The Koman Team" have sold $320,000,000 in residential properties just in recent years and are currently the leading real estate team in Prudential Americana Group - Las Vegas! Our specialty and main focus is particularly with Bank Owned, Foreclosure and Pre-Foreclosure Properties, REOs but also with Builder Inventory Close-Outs. We work closely with various banks and several major home builders; Pulte Homes, D.R. Horton, Rhodes Homes & Ryland Homes. We have earned this prestigious right to exclusively represent their inventory homes at dramatically reduced prices by continuously exceeding our clients' expectations, creating beneficial results and always protecting our clients' best interest. Or simply said, by getting business done. Often, these discounted properties are not available publicly. If you are, or perhaps someone you know is interested in a phenomenal Las Vegas buyer's market and its best value properties, search no futher, we are your Las Vegas safest bet. Our service to you is FREE! Additionaly, we make certain that we cover, so you don't pay for home warranty, inspection, appraisal, professional cleaning and lock change. The results we produce come with no surprise and are the proof of our superior business strategies and constant awareness and adaptation to always changing market conditions. There are many reasons why we have been one of the most trusted and respected real estate professionals in Las Vegas. Numerous benefits come along when you know the right people who have superior local connections. 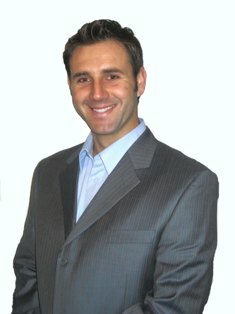 We clearly understand the business, local market conditions and use very unique and highly effective negotiation techniques when working with and for our valuable clients." As they come in large numbers, we also have special arrangements with our out-of state buyers. At no charge, we provide pick up and drop off the airport. If needed, we can help you to arrange hotel reservations or accommodations. We also provide a professional final property clean up and professional lock change immediately after close of escrow. These are just several additional reasons why we have been one of the most trusted and respected names among the top professionals in Las Vegas real estate arena. Myself and the entire "Koman Team" are dedicated to your success and 100% satisfaction. We are looking forward to hearing from you soon. Our service to you is absolutely free. Thank you for your trust and an opportunity to help you reach your Las Vegas real estate goals. Mateo Juric & "The Koman Team"